We get it. You don’t want to be a helicopter parent, but you worry for your kids safety online and rightly so. 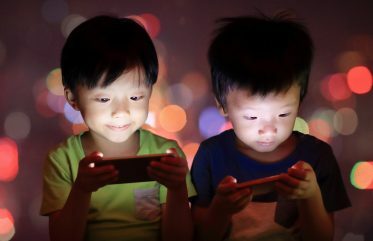 Even with all its promising features and connectivity, the reality is, the internet can be a portal where real-life fears and dangers can follow kids in the comfort of their own home. Bullying and online bullying in particular is a scary predicament for parents. 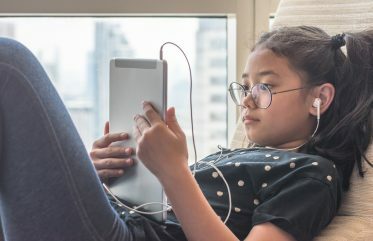 You worry about your child’s mental and psychological wellness and often the need to control every online interaction and this can be seriously overwhelming (for both parent AND child). Social media can be an extension of your child’s identity and the goal posts are changing all the time. The social media sites that you thought they had profiles on aren’t the “in” thing anymore and there are new ones appearing on a weekly basis that may seem harmless, but once you take a look are quite sinister. 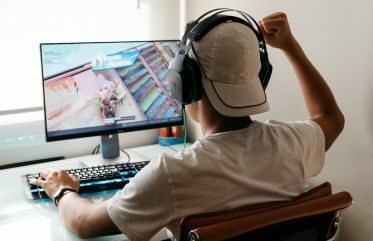 Bullies hide behind their computer screens to gain access to the vulnerable anytime. Cyberbullying, or bullying through online speech or content, is just or even more hurtful and traumatising as physical abuse or harassment in real life. What’s worse is that a child is no longer protected by the comfort of their home. Bullies can follow them practically 24/7 and it can more difficult to gauge a child’s sensitivity levels, since words and photos are open to multiple interpretations. They makes an effort to hide his or her computer or mobile phone screen whenever you are around. They avoids conversations about his or her online activities. They completely avoid using his computer or mobile device. They are anxious or a bit panicky after receiving online notifications or messages. Mood swings become more prevalent or they just becomes completely withdrawn. They refuse to engage in actual social activities, situations or conversations. They have trouble sleeping at night or eating. They delete or deactivates social media account without warning. If you suspect that your child is indeed suffering from cyberbullying, the best approach in helping them through is open channels of communication and to reach out to professional support services. Especially in the case of older kids – confronting their bullies upfront might just make them feel more anxious, distressed and less confident in dealing with abusive peers. Listen to and learn from your child while arming them with psychological strength and emotional support to get them through this phase.